Voters in Alabama go to the polls on Tuesday to decide who's going to take a crucial seat in the Senate. Alabama has been a solidly Republican state for decades but this has been one of the most bitterly fought campaigns in years, making the outcome too close to call. In his last rally, Republican candidate Roy Moore cast himself as the victim of unfair allegations of antisemitism and sexually molesting teenage girls. "My opposition has always been about my acknowledgement of God. The sovereignty of God, the Ten Commandments, I was removed from my job. When it came up about the definition of marriage I stood for marriage between a man and a woman. They suspended me." Donald Trump's former key adviser Steve Bannon was at the rally to show Moore support. 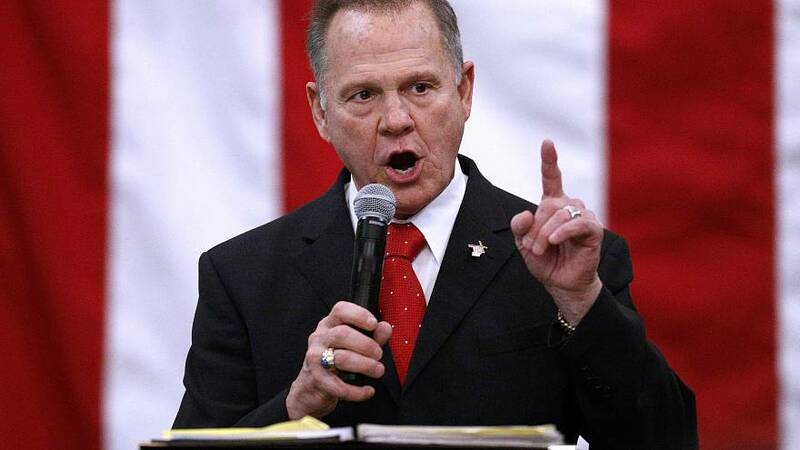 It follows President Donald Trump's backing of the former judge in the face of widespread opposition within the GOP over the accusations Moore's facing. His Democratic rival Doug Jones used his final event to say the vote was Alabama's referendum on "who we are and what we're going to tell our daughters." "I'm not going to worry about the fact that Roy Moore has been kicked out of office twice. I'm not going to worry about the fact that he took money from a charity. And you know what, I believe those women in Etowah County, but you know what my party is more important. I will tell you folks, it is time." According to Bill Barrow, AP political expert, in normal times Moore would be a runaway favourite in a conservative state like Alabama, but Moore is not a normal candidate, having been twice removed from the state Supreme Court chief justice. "If Jones is going to win he will need an extremely high turnout among African American voters in Alabama, who provide the majority of Democrat votes," said Barrow. "But he will also need to convince many white Republicans to abandon their usual loyalties and vote for a Democrat. So, there will be some key precincts in key counties around the state that everyone will be watching," he added. Jones has spent the past week rallying African-Americans, the most reliably Democratic voters in the state, and hammering Moore in television ads. He has told supporters that his campaign is a chance to be on the "right side of history for the state of Alabama." If Jones wins the seat Republicans would control the Senate by a slim 51-49 margin, giving Democrats much-needed momentum ahead of the November 2018 congressional elections, when control of both chambers of Congress will be at stake.